New for summer 2019, Brass Butterflies is offering half-day camp workshops for kids and youth aged 6-15! These camps run for five consecutive days, three hours per day (either morning or afternoon) and participants must register for a full week at a time. Led by experienced circus educators with small teacher to student ratios ensuring lots of 1-1 attention. Give your children a truly unique physical and creative outlet this summer! These half-day, week long camps offer participants a chance to explore the world of circus from many perspectives. Each day will introduce a new discipline to practice, from juggling to acrobatics, aerials to clowning. Engaging games and exercises accompany the practices to make for a fun morning or afternoon. No experience required. All abilities are welcome. *Early bird pricing! Save $20 when you register before May 15! For full day options and pricing, please enquire with studio administration. Come learn how to fly, flip and tumble in our half-day, week long camps led by experienced circus educators. This camp is aerial focused, with a healthy dash of new skills sprinkled in: juggling, acrobatics and clowning to name a few. 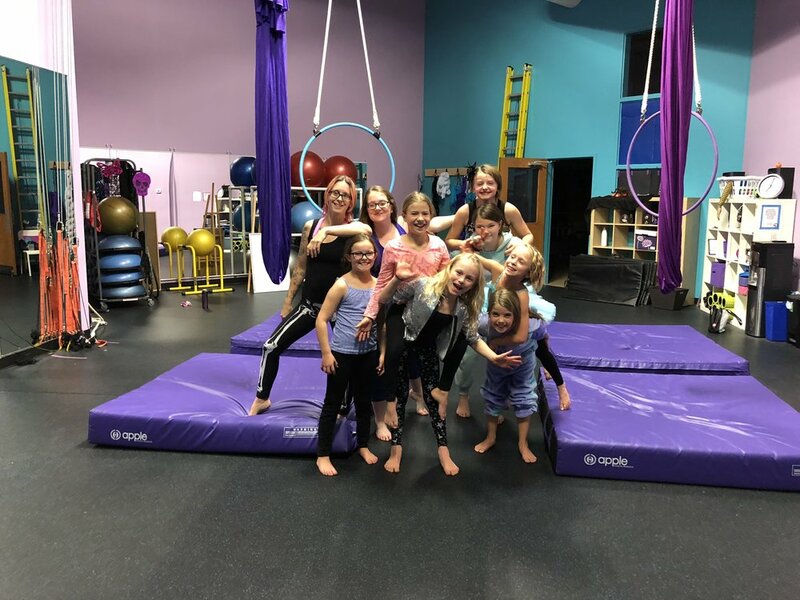 Whether you are brand new to the world of circus or you have some experience and would like to take your practice to the next level, we'll help you find challenge and fun. Come one come all! The circus turns no-one aside.